These cupcakes are packed with chocolate stout flavor and Irish cream. Chocolate Raspberry Stout Cupcakes with Irish Cream Buttercream are super chocolaty and topped with feather light and creamy Irish cream buttercream. True story! 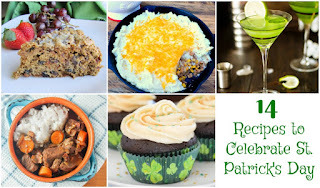 I am so excited about St. Patrick’s Day this year that I scheduled corned beef and cabbage a whole week before it was actually St. Patrick’s Day. That’s how excited I am at the thought of having corned beef and cabbage. Honestly. I could eat.my.weight in that stuff. But this post isn’t about corned beef and cabbage. It’s about some delicious stout cupcakes. And it’s also about this amazing group of bloggers that love to celebrate holidays, food holidays, and just promoting each other. Which I love. It’s like another family that I “married” in to by participating in another group. Many years ago, I started posting in an online newsgroup. Sadly, I chose the wrong userID that reminded them of someone else and got chewed a new one. But that also lead to some sage advice; think of a it like a group of friends talking. You wouldn’t just walk up to them assume they would accept you as a friend. You have to earn your way into the fold. I tried too hard when I started blogging and thought I would easily be accepted. I tried to get into a group that was already established and weren’t really receptive to me. So, I joined another group and just kind of sat back, took my time, pitched in where I could. I just did me. Being me leads me up to where I am today. I’m a hard-working contributor of a couple of groups that are always trying to help promote each other. We are always trying to find ways to get our SEO up and make our blogs relevant to the blogosphere. We’re sharing and promoting each other. These groups are planning events and working towards growing each other and our audience. It’s one of these groups that leads me to this post I’m sharing today. I am a member of the Holiday Fun With Our Blog Friends. We have events planned through the end of May right now. There’s this St. Patrick’s Day. Then there’s a Pi day, grilled cheese, Easter week, Mexican week, and grill week scheduled so far. I’m sure there will be a summer theme in June, Fourth of July, summer in August, and maybe something back to school in September. Doesn’t that sound like fun? I love when I have events to participate in. It’s motivation for blogging in this period when I have little. Work is just too exhausting and I honestly don’t have energy to even make a salad some night. It’s that bad. So, to have this motivation behind blogging, is just awesome. Now, just so you can get the full picture, here’s how these cupcakes stack up. The frosting is an airy and light Swiss (cooked meringue) buttercream that has the most feather light consistency you’ve ever tried. It has a hint of Irish cream flavor making it completely decadent. Now, the cake. Those little chocolate gems of amazing. You don’t have to use raspberry chocolate stout, but I do highly recommend a chocolate stout. It will enhance the chocolate flavor. And these babies pack AMAZING chocolate flavor. One bite and your mouth is flooded with rich, chocolate flavor with a hint of raspberry. The rich flavor of the cupcake combined with the light and airy buttercream make for a most incredible cupcake experience. I had totally planned to bake and take, but even the hubs ate a few. I will be making another batch soon, that’s how good they are!! Have you ever had chocolate stout? Combine the flour, cocoa powder, and baking powder in a mixing bowl and stir well with a whisk. Set aside. Place the 1 1/4 cup sugar, 1/4 cup brown sugar, and 1/2 cup softened butter in the bowl of a stand mixer fitted with the whisk attachment (or a large bowl with a handheld mixer) and beat until light and creamy. Change to the paddle attachment and stir in the stout and then add the two large eggs one at a time. Finally, stir in the sour cream and the vanilla until combined. Slowly add the dry ingredients into the stout mixture; stirring until just combined. In a small mixing bowl, beat the 2 large egg whites to stiff peaks. Fold in one third of the egg whites into the batter until combined. Fold remaining egg whites into the batter. Line 2 muffin tins with liners and lightly spray with cooking spray. Fill the cups 2/3 full (I use an ice cream scoop or a small measuring cup). Bake at 350 for 18 to 20 minutes or until a toothpick inserted in the center comes out clean. Remove from the oven and cool in the pan 5 minutes before removing from the pan to a wire rack to cool completely. Pipe the buttercream on top and enjoy! Bring a saucepan with about 2 inches of water in it to a boil. Place the egg whites and sugar in the bowl of a stand mixer (or heat proof, metal bowl). Place the bowl over the saucepan and, stirring constantly with a whisk, cook to 160 F.
Return the bowl to your stand mixer and whip until stiff peaks form. Allow the mixture to cool before adding the butter 1 tablespoon at a time until the buttercream is smooth and glossy. Stir in the Irish cream and salt to taste. Place in a piping bag and top your cupcakes. 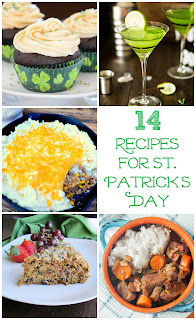 St. Patrick’s Day is just around the corner. 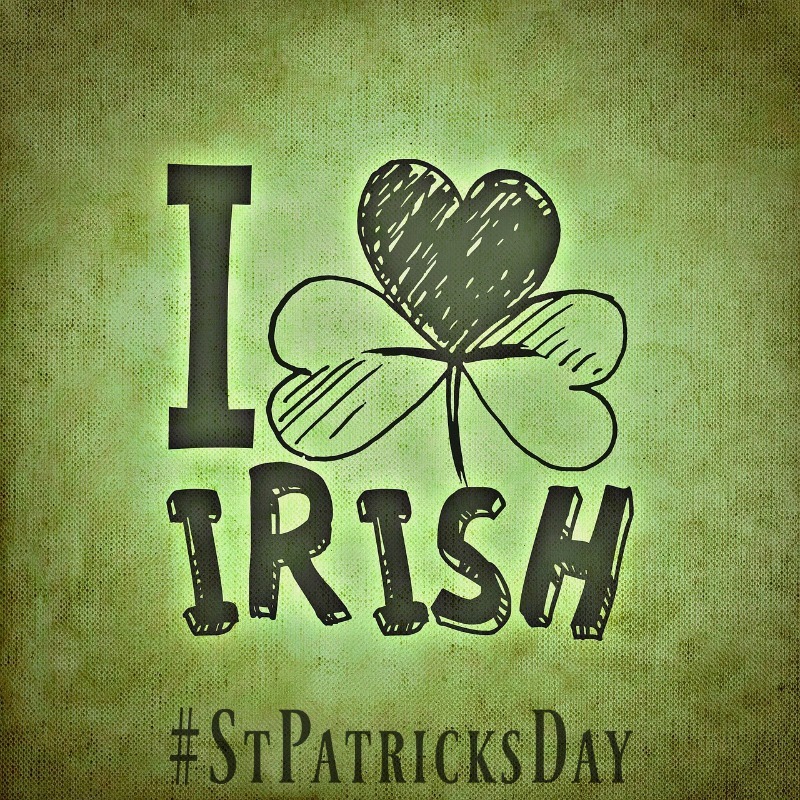 It is a great time to celebrate the Irish in all of us, even if there isn’t any! There are a lot more ways to celebrate than drinking green beer. So Jan from The Tip Garden and Carlee from Cooking with Carlee got us together to share our best St. Patrick’s Day inspired recipes. There is sure to be something for everyone! These still look stunning and delicious. I’ll have to make them for my husband as I know he’ll love them! I better find some Raspberry Stout! These sound incredibly delicious! Du Claw in Baltimore has it…that much I do know because that’s where I got mine. It’s so good..
Aren’t we lucky, Christie, to have so many great blogging groups to offer help and support? Your cupcakes sounds amazing. We truly are, Wendy! Thank you! These look so good – I love the idea of the raspberry in there to balance out the stout. Yum! Thank you! It’s a great beer if you’re ever in Baltimore around Valentine’s Day. Everything about this cupcake sounds delicious! These cupcakes look amazing. I wish I had one right now! I just love having the motivation and inspiration of our group too, not to mention a safe place to ask silly questions! I am so glad I’ve had the chance to cook along with you! Yes! I love having a brain trust to answer questions and bounce ideas off of. Those look divine!!! I was going to say that I would try to adapt them to be gluten-free for my husband. But, maybe, I’ll just make them and eat them all myself!! Thank you! That sounds like a perfect idea to me!